Heating season is upon us and I thought I would share a little about the dangers of Carbon Monoxide (CO) and its potential for poisoning us. Not to be confused with Carbon Dioxide (CO2) – the stuff that makes our sodas fizzy – CO is an invisible, odorless, and tasteless gas that is produced as a by-product of burning solid, liquid and gaseous fuels. Things like cigarettes and cigars, camp fires, coal, gas or wood burning fireplaces and stoves, gas ranges and ovens, charcoal grills, propane, kerosene and natural gas heaters and furnaces, gasoline and diesel engines all produce CO. Even our own body naturally produces small amounts of CO which we exhale at every breath. CO is measured in parts per million or ppm. Healthy, nonsmoking individuals can exhale up to 2 ppm but these same people can have CO level exhalations of 3-15 ppm if they are sick with the flu, other chronic diseases, or have chronic low level exposures such as living with gas ovens. Those who smoke can exhale levels of 10-30 ppm with-in one to two hours of smoking and can attain levels of up to 999 ppm while they are! CO is all around us and while no sense of panic here is required, we do need to be aware that in concentration, it can harm or kill. Since CO itself is undetectable to human senses, we may not even know we are being exposed. Low to moderate CO poisoning can present symptoms similar to the flu, but without the fever. Headaches, fatigue, shortness of breath, nausea and dizziness are all possible during exposure to these lower levels. Higher levels of exposure will cause progressively worse or more severe effects such as; mental confusion, vomiting, loss of muscular coordination or consciousness, and ultimately death. The severity of symptoms is directly related to the actual CO level being inhaled as well as the duration of exposure. Prolonged exposure to levels of between 1 and 70 ppm will not affect most healthy individuals. Those with heart conditions might see an increase in chest pain at the upper levels though. Most individuals exposed to levels between 70 ppm and 150 ppm for extended periods will likely develop flu like symptoms. Those exposed to levels 150 ppm or higher, even for relatively short periods of time, will begin seeing more acute and possibly life threatening effects. Every year, more than 200 people are unintentionally killed, and over a 1000 more are treated in the emergency room as a result of CO poisoning. Install and regularly maintain Carbon Monoxide detectors following the manufacturer’s instructions. At a minimum, there should be one on every level with others mounted in the hallway outside each sleeping area of a home. In commercial settings, having them installed in areas where fuel burning equipment is housed is recommended. Just having a CO detector installed is not a substitute for proper use or upkeep of equipment that produces CO though! Have all fuel burning heating equipment installed, routinely inspected and serviced, by trained professionals. Never self-service fuel-burning appliances without proper knowledge, training, and tools. Professionals will inspect the chimneys and flues for blockages, corrosion and other issues with the venting system as well as ensuring that the equipment is operating efficiently. Note that even more CO is produced when incomplete combustion occurs. Don’t forget to have your wood burning fireplace cleaned and inspected yearly. Keep your flue damper closed when not in use, but always 100% open in use, even when the fire is only smoldering. Remember that more CO is produced when incomplete combustion is occurring! Never use gas appliances like ranges, ovens, or clothes dryers for heating your home. Never operate any unvented fuel-burning appliances in any room with closed doors or windows or any room where people are sleeping. Carefully read the user manuals of these type of appliances to fully understand their appropriate use. Never burn charcoal or portable fuel burning camping equipment inside a home, garage, vehicle, or tent. Never leave an automobile running in an attached garage, even with the garage door open. If you have to run an auto or other engine inside a space, you must ensure that adequate cross ventilation is available. Be especially careful when operating a generator while using a motor home or camp trailer. If the unit is enclosed in part of the vehicle itself, make sure that it is routinely inspected and operating correctly. 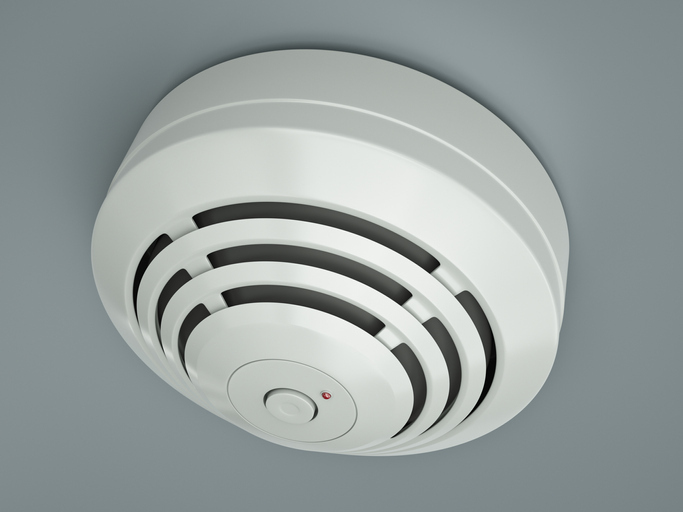 The use of a CO detector is required if the vehicle has, or has been prepped for, a generator. If you use a portable generator, make sure it is far enough away from the camp site to prevent the accumulation of exhaust fumes. The use of a battery operated CO detector is highly recommended if the unit is to run overnight near sleeping areas. Though CO is undetectable to humans itself, it is often carried with other odors that we can detect. Most of us would recognize cigarette, cigar and wood smoke and most will recognize the odor that comes out of the tailpipes of vehicles. You may be less familiar with odors that appliances create, but have any suspicious odors occurring while using fuel burning appliances checked out by a professional. Finally, do not ignore any CO detector alarm. After all, you spent good money on a quality device. Don’t simply hit reset or remove the battery. Nuisance alarms from CO detectors have been steadily reduced and those made and sold today are much less susceptible to false alarms than their earlier predecessors were. Today, they are designed to raise the alarm when CO levels of between 30-50 ppm have been sustained for 30 days. (Note: for those with a ppm display, most are allowed to show 0 when actual levels are below 30) They are also designed to signal an alarm if CO levels should rise rapidly in a short period of time. If yours does go off take it seriously; move to fresh air and have your appliances inspected. Again, CO is all around us and is ultimately unavoidable in moderate quantities so no panic is required. We do, however, have to remain aware of allowing it to build-up to dangerous levels where we work and live. As in all things, awareness is a key component in our overall safety. Following the guidelines above provides for a good starting point.